As an example we'll use the post page, the variables are named accordingly. 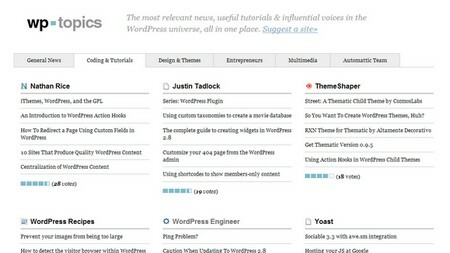 wp topics – Most Relevant News, Useful Tutorials And Influential Voices of WordPress in One Place! Today we have a little link tip for our readers: At wp topics you can find all useful news, hacks, tutorials about WordPress in one place right away! It's organized by "General News", "Coding & Tutorials", "Design & Themes", "Entrepreneurs", "Multimedia" and "Automattic Team". In each category are the most relevant and interesting websites about WordPress listed. You can also vote for each website, how much you like their content.